Today in our interview series “7 Questions for …” we’re speaking with Daniel Palm from HolidayPirates. Learn how the company managed to get over 750.000 WhatsApp subscribers, what tips and tricks they have for further growth, and what content gets up to 85% click rates! The Holiday Pirates have one of the biggest travel communities in the world, with 9 million followers! This isn’t only in England and Germany, but in eight different European countries, like the the Viajeros Piratas in Spain or the Voyages Pirates in France. The travel portal started as a travel blog: now it’s known not for selling its own trips, but for finding users amazing trips at incredible prices. 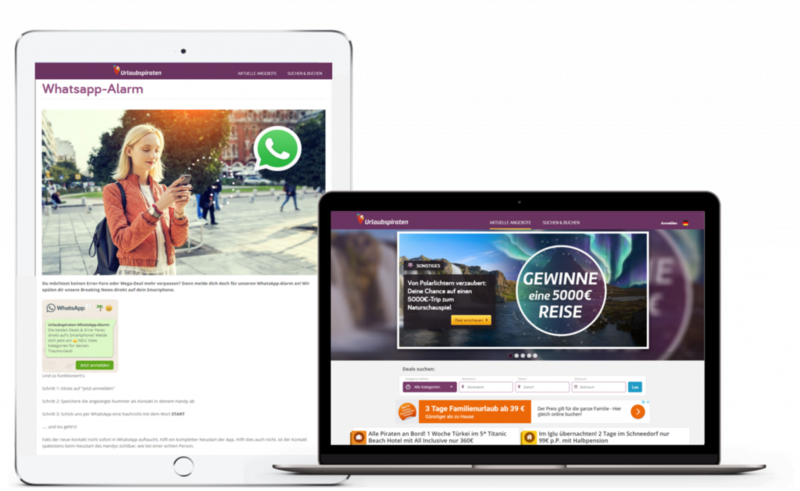 On their blogs and social media, the Pirates let their users known about great travel deals that they’ve found – and of course they also keep them up to date over WhatsApp and Facebook Messenger! Through the Holiday Pirates WhatsApp news, the users are finding high quality trips with great prices. 1. What idea was behind the decision to use WhatsApp to communicate with your users, and how did you start out? Early on, we understood that Facebook’s reach was sinking, and we were searching for another distribution channel. When you got in contact with us and explained how your Messenger Solution works, we decided to just try it out! 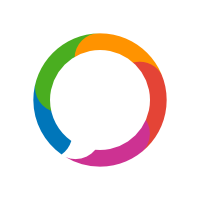 Of course we also considered other providers, but we decided to stick with MessengerPeople: the service and the cost-benefit relationship is unbeatable. We started with Messenger Marketing relatively early, between 2015 and 2016, when you were still a small startup – in the past years, we’ve grown with you! 2. What do you see as the biggest differences between Messenger and Social Media – what advantages do you see in contrast to Facebook, Snapchat, Instagram, & Co.? Of course we also advertise our deals over a classic Facebook channel. But contact with users over messengers is very different, it’s just much more personal. With WhatsApp we can send our customers a deal and immediately their phone will ring and they see a message with the best deals from us. From the very beginning, you as a provider have a different relationship to the customer. What’s also special is that on WhatsApp and Facebook Messenger, the customer can immediately write back to you, and we always like that. In general, the biggest difference is the reach that we are able to achieve with WhatsApp & Co: the opening rates over messaging apps are simply way better than over social media. It’s really unbelievable, sometimes we send deals to our users and they really reach 90% click rates! In general, we are extremely satisfied with how our WhatsApp channel functions, especially since other platforms are continually losing more and more reach. 3. Due to the sinking reach of Social Media Platforms, conversion is becoming a central theme and makes your 90% opening rates seem even crazier. Can you tell us something about your click rates and what content drives your great engagement? Our reach is generated through the content that we send. With last minute trips to Mallorca in the summer we easily reach click-through rates of on average about 50% to 60%. Our error fares, the accidental prices listed by agencies and airlines, also receive extremely positive reactions. When a flight that usually costs 5,000 euro happens to just cost 500 euros, it can attract enough attention to crash even a very large website. 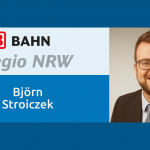 This shows another great advantage of content distribution over WhatsApp: we can let our customers know about time-sensitive deals very quickly, before the error fares are corrected. 4. 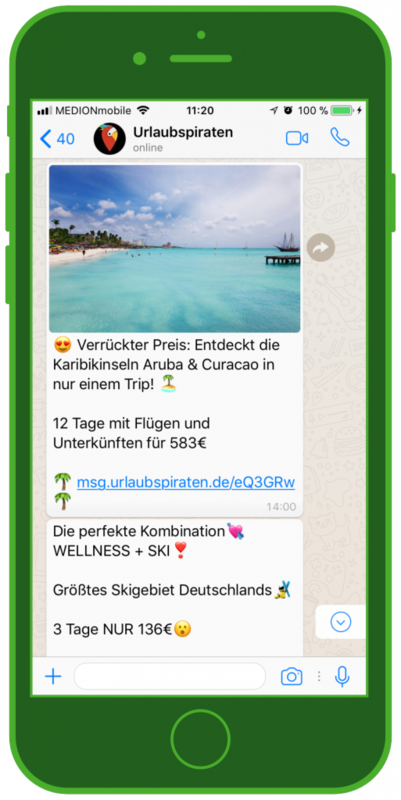 Your sky high opening rates and huge reach genuinely generate direct sales – are you selling trips over WhatsApp? Definitely! Sometimes these purchases do end up being booked on a different device, even when they are initiated over WhatsApp. The customers discover the deal over WhatsApp and then book in a second step on their computer. Buying trips on your phone is still a newer concept and a bit less convenient, but it’s already clear that our customers get excited about the deals and book them later, so it works really well. 5. We often hear the question, how can you integrate messaging apps into marketing strategies along with still relatively new social media techniques. Can you tell us a little bit about how you use these different communication channels? In addition to our huge team that is constantly searching for great deals and prices and publishing them on our portal, we also have our social media team, which publishes the deals on Facebook and uses Facebook ads, and then our CRM department, which is responsible for our direct channels. Here we select which offers are best for email, the app, or WhatsApp. 6. You have over 750,000 subscribers on your WhatsApp channel alone, and get click rates of 60% – do you have any tips and tricks that would help other companies achieve the same success on WhatsApp? We were lucky enough to gain most of our followers organically. Our users can see the WhatsApp button on our portal and luckily they also click on it! We also hold raffles which you need to sign up for in WhatsApp. Raffles are the real key to gaining more subscribers for your channels. We also make sure to only send so many messages to our users, no more than 3-4 per week usually. 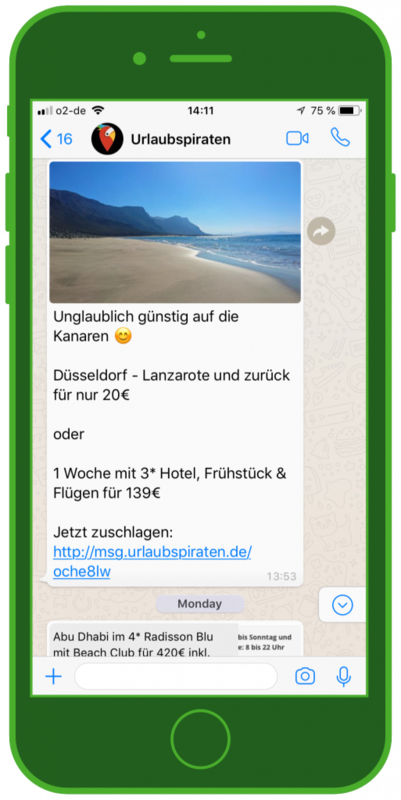 We want to send our users only extremely relevant content – we only send the very best deals over WhatsApp. These deals have to be sent immediately, before they sell out. Because of this, our unsubscription rate is very low, because the content is right and the customers are interested in it. They feel like our service helps them get to their dream destination with their dream price. That’s convincing. 7. We are always happy to speak with customers and we want to keep getting better: we’d love to ask, what can MessengerPeople do to help you do your job even better and get to 1 million subscribers? You guys have already deveoped a lot of features that we’ve wanted and that we needed to become this successful with messenger marketing! Our last request was a sharing feature, which you also made possible. Now you’ve created even more features that we’re excited to test. We always wanted to create different target groups, so that we can send people the most relevant deals instead of sending everyone the same thing. 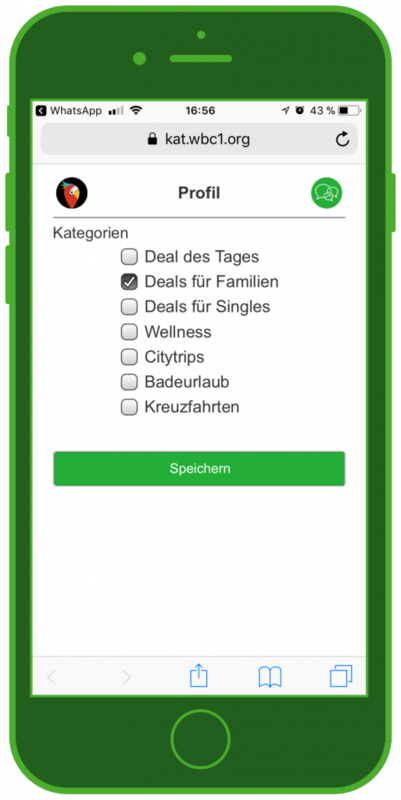 With the category feature we can now do that, and are already using it intensively to send people deals that are the most interesting for them. I don’t know what we could want more for MessengerPeople! Thank you very much for the great interview! Here you can sign up for the free WhatsApp Newsletter from Holiday Pirates. 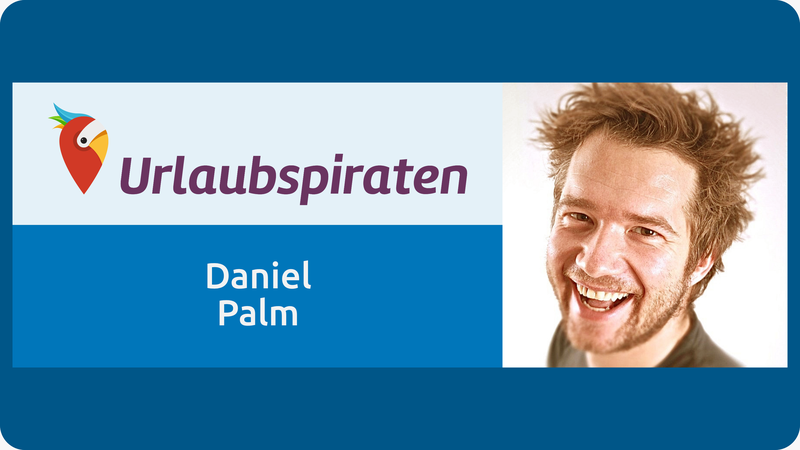 Daniel Palm ist not only a media freak and Netflix fan, the face of radio stations Inselradio Mallorca 95.8 and Radio Hamburg, but also Head of Customer Relations at HolidayPirates GmbH as of 2014, and recently also their Senior CRM Manager. 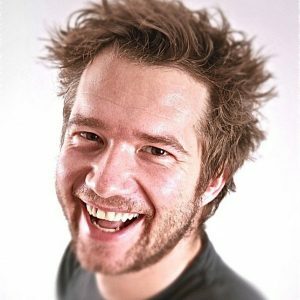 He is responsible for the international customer relationship database manaement as well as for the multi channel HolidayPirates marketing campaigns. He supports customer relationships and customer communications through email, native app push notifications, and naturally also WhatsApp.